Apple and Samsung took the great share of profit in smart phone industry and the remaining companies got the small shares of their profits. 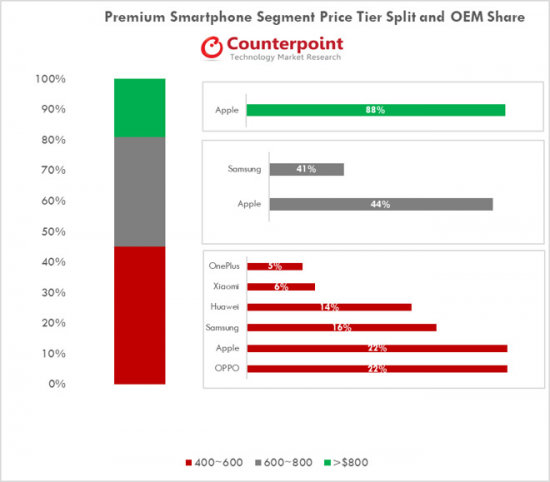 New Counterpoint research report shows that Cupertino based smart phone company has created the 62% of the profit of smart phone industry through quarter from April to June. 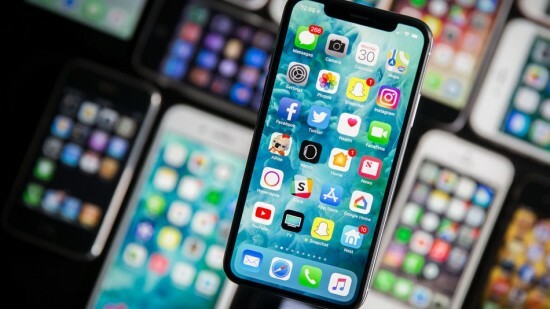 Now this profit is down from 81% and Apple has earned few quarters back and this figure is still big, when you think the quarter as one where Apple is expected to sell few phones. 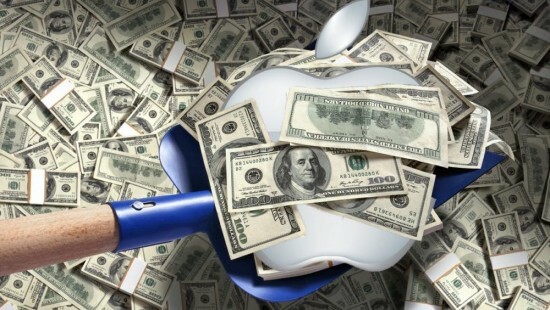 Apple has dominated the segments of market, which matter most and post $800 and $600 – $800 at 88% and 44% respectively. Samsung was the closest with 17% of overall market and the quarter was good for the Chinese companies, which are coming close to them and Huawei is the closest with 8% and Oppo is at 5% while Vivo and Xiaomi are at 3% each. Oppo leads the segment from $400 – $600 with Apple at 22%. Apple would grow the lead in the coming quarters and there is three new high end models, which are now released with the even larger price tag.